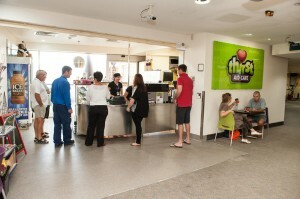 Thirst Aid Cafe is a new venture for the Bundaberg Health Services Foundation. We took over the lease from the old cafe at the Bundaberg Hospital on July 1 and after a major redevelopment the cafe opened offering a healthy food menu option for patients, visitors and staff. The vibrant new colour scheme has been well-received and menu changes daily with food ranging from sandwiches to salads, focaccias, pannini, hamburgers, hot food option and meals of the day among a vast array of other choices. 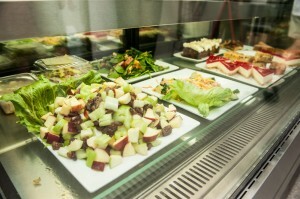 The cafe not only meets a need but also assists the Foundation in helping local patients, staff and hospital projects. Proceeds from the venture go back into hospital projects. 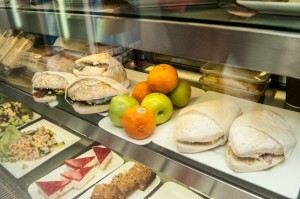 The Cafe sells a wonderful selection of cold drinks, smoothies and sweets as well. The talented girls also serve Byron Bay coffee and every taste is catered for.